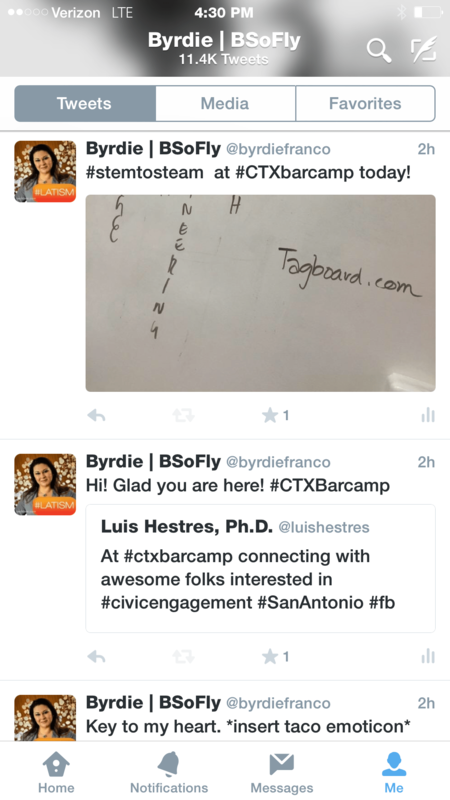 I was supposed to be out of town this weekend but when my travel plans canceled, I quickly confirmed that I would attend a local conference I had helped organize called CTX (Central Texas) BarCamp. Central Texas BarCamp is a collaborative, community UNconference for techs, geeks, civic engagers, and educators interested in coming together to share their recent work and ideas in a collaborative manner. 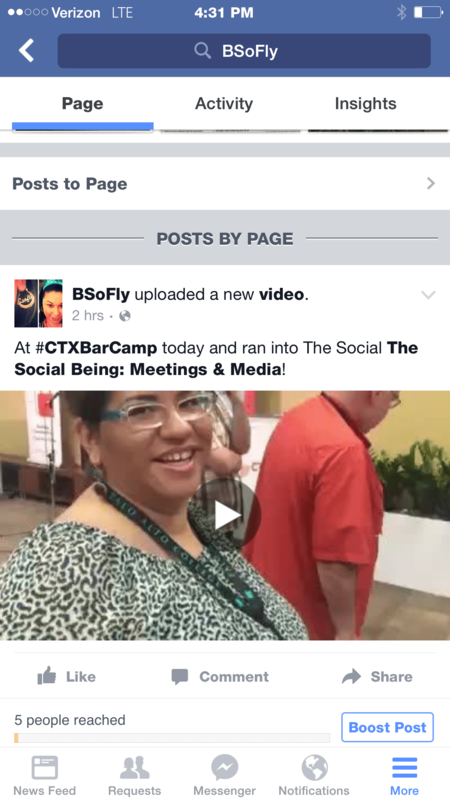 What makes CTX BarCamp an UNconference is that the sessions are built the day of, and anyone can be a presenter. And just like the spontaneity of the panels, so was my involvement the day of the event. I was asked to be the social media reporter last minute. And, I was happy to do it. It was the perfect task for me since I am a social media enthusiast and professional. However, even if you are not a social media pro, I encourage you to try it and conferences are the perfect place to do so. I am pretty good at covering events since I’ve been doing it for many years now, but there is always one concern. I have be certain that my cell phone service will be up and ready just in case Wi-Fi was not available or lagging. For instance, CTX BarCamp was held at the largest public library in San Antonio so, sometimes you never know how the reception in downtown buildings might be or if the WiFi will lag due to the number of people demanding it at such a popular venue. I am happy to report however, that social media did not go dark that day. I had excellent service and did not even bother with WiFi. There was no time for that! I was Periscoping, Tweeting, Facebooking and of course talking and texting with family in between (because of course I had visitors from out of town on top of everything). Needless to say, it was a busy weekend but I would not have it any other way. It’s moments like this, that I am thankful I have dependable service from my wireless service provider which happens to be Verizon Wireless. It has been about a year since I have been using Verizon and so far I have not had issues covering any conferences. I also like that I was able to upgrade to an iPhone 6 Plus and trade in my old phone (I got $400 in credit for two old phones!). So, a year later, I still feel good about that switch and the great service I am getting. 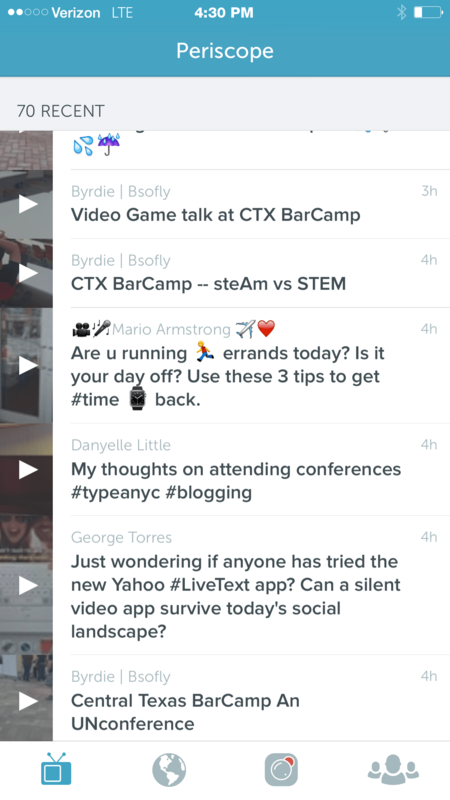 How do you handle social media updating at conferences and what do you do when you can’t get online? I am a member of #VZWBuzz, a pretty cool team of Verizon influencers and I I receive devices and other benefits from time to time. All opinions are strictly my own.